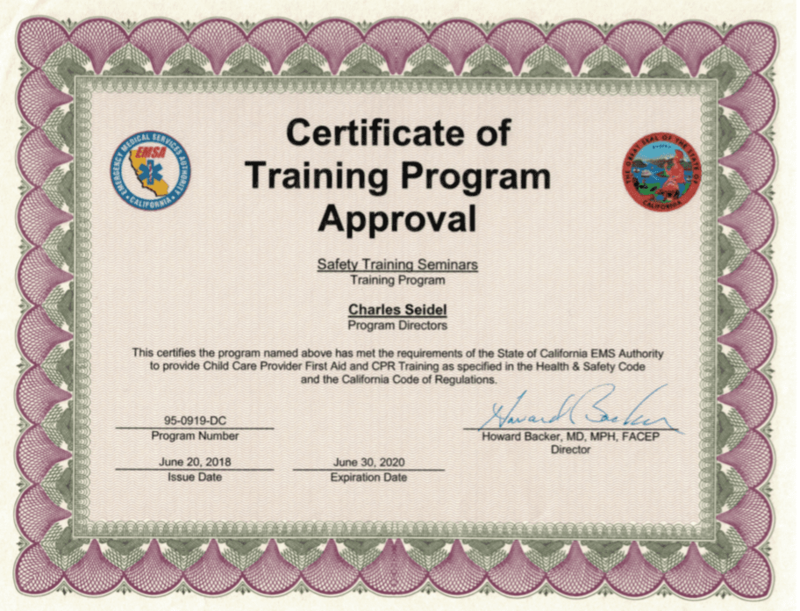 Dublin CPR Classes is a provider of the 8 hour American Heart Association Pediatric First-aid and CPR class that is required for childcare providers in California. This page will answer some questions regarding EMSA certification or you can call or email us for more information. When is the Pediatric First-aid and CPR course offered in the Pleasanton, Hayward, San Ramon area? We teach this course in Dublin approximately once per month. View upcoming Dublin Pediatric CPR and First-aid class. When is the 7 Hour EMSA Preventive Health and Safety course offered? This course is offered in Dublin or San Francisco about once every two months. Since this course does not have an expiration date, there is not a huge demand. 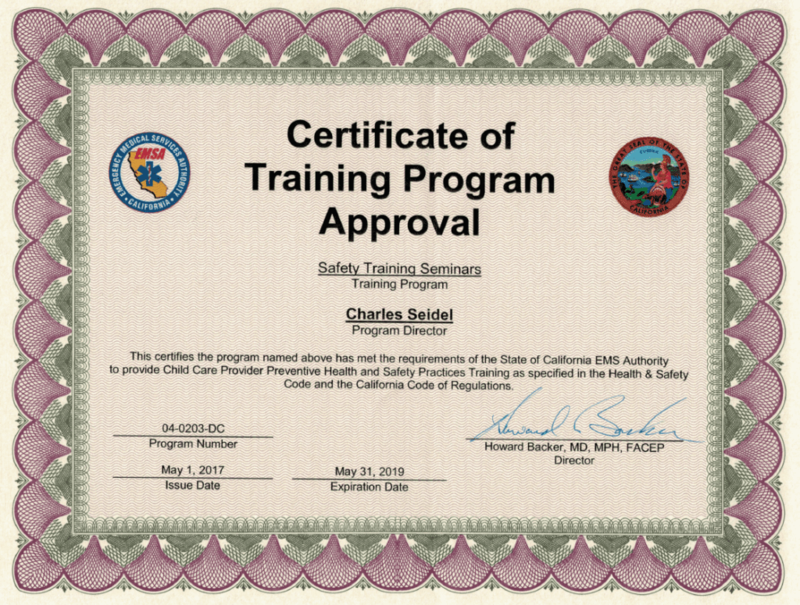 View upcoming Dublin/Pleasanton EMSA Classes. No. Per California state law, online CPR classes are not valid for childcare providers. I saw a CPR company in the East Bay that offers the Pediatric CPR and First-aid class for less than 8 hours. Can I take that class? Yes, you could take that class, but the certification you receive would not be valid when Community Care Licensing does an inspection of your child care center. State law requires this course to be 8 hours long. If you find a CPR and First-aid company that teaches this course in less than 8 hours, you should report them to the EMSA authority, by calling 916-322-4336. How can I be sure that the company where I take the class is legitimate? This is a very good question. EMSA has released an EMSA fraud warning that there are a few companies that offer this course who are not certified to teach. Here are a few steps you can take to make sure you are not scammed. 2. You can call EMSA to confirm that a company is approved to provide the Pediatric CPR and First-aid Class. Their number is 916-322-4336. 3. View their license. Our license is below.